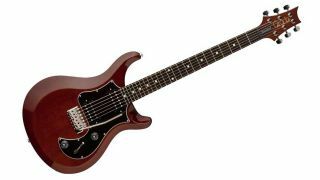 Solidbody electrics don’t come much more versatile than the PRS Custom 24, and if you’re looking to save some cash, there’s a sweet deal going on its stripped-back counterpart, the S2 Standard 24. Head over to Musician’s Friend and you can save yourself $300 off the asking price, taking the total down to a cool $949. A pair of coil-splittable S2 HFS humbuckers provide tonal flexibility, while PRS’s Pattern regular neck and no-nonsense mahogany body will appeal to a wide range of guitarists. In terms of USA-built guitars, this is bound to be one of the best deals this Black Friday.